Prabhas became a pan-Indian phenomenon after the terrific success of Baahubali 2: The Conclusion. Currently, he's the most happening star in Indian cinema and has been getting a lot of interest from across industries. According to latest reports, Prabhudheva is all set to direct the Baahubali star in a film. Speaking about the collaboration, Prabhudheva was quoted by Deccan Chronicle as saying, "Prabhas is a dear friend. I’ve known him from the time he set foot in Tamil-Telugu cinema. In fact, he sportingly did a cameo appearance in my Hindi film, Action Jackson. I’d love to direct him. But, it’s definitely not just because Baahubali has happened. There’s no point in doing a film together just because it makes business. 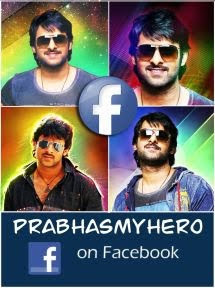 I have been thinking of a film with Prabhas for a while now. Right now, he’s busy with his next Telugu film Saaho, post which we will do our film together." However, it isn't clear if it's a Telugu-Hindi bilingual. It must be noted that Prabhas made a guest appearance in Prabhudheva's Hindi film Action Jackson. The Mirchi star has began work on his forthcoming film Saaho, which is being directed by Sujeeth Reddy. Made on a budget of Rs 150 crore, Anushka Shetty is rumoured to be playing the leading lady. Tipped to be an action thriller, Saaho is slated to release next year.